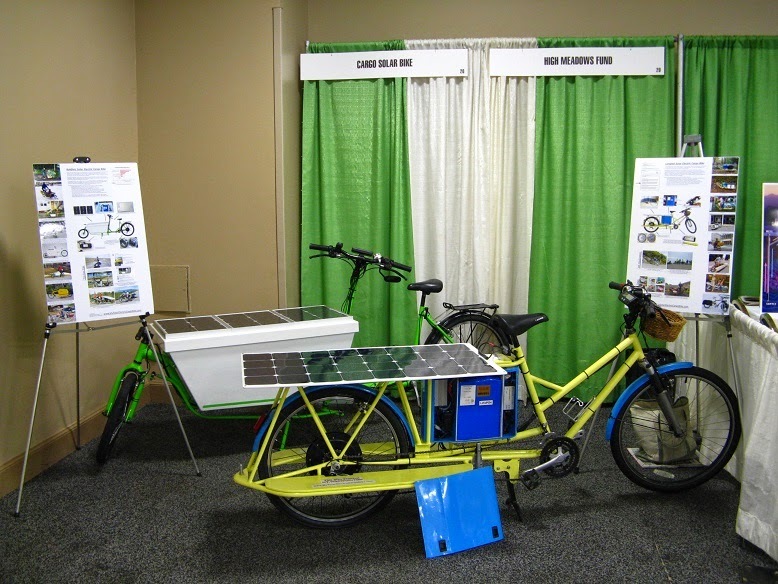 The solar electric cargo bikes have been rolling nonstop. Although I have notes for 21 more blog entries, things have gone a little over the top and I haven't had a couple of days to write a good post. 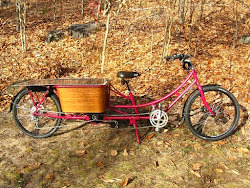 The motor for the third bike has also arrived and I wish to spend time modifying it, so I'm going to try something unusual here and let other people write for me this time. 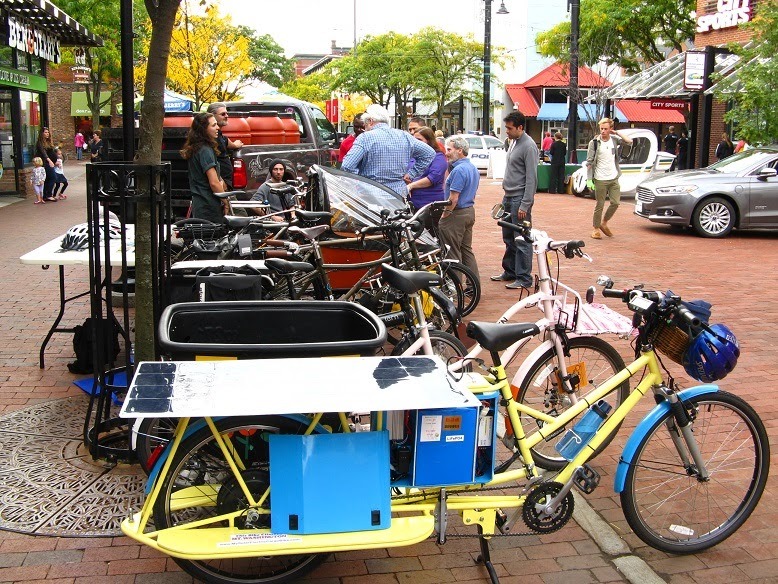 I am finding that building the bikes is relatively easy for me, but then there are cargo bike loads of public relations and education that have to happen. At least some of it is enjoyable- a.k.a. 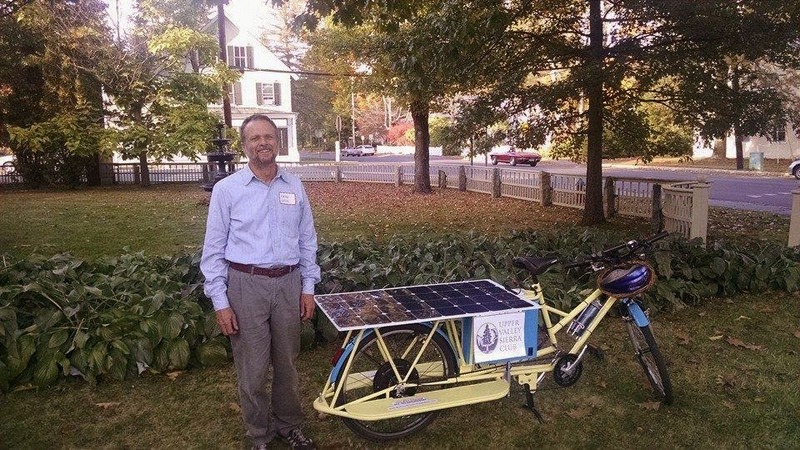 "a bike ride"- with stops along the way for questions. My display booth at the REV annual conference. in back, and electric cars and natural gas garbage truck across street. 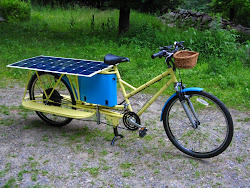 Hi there, That's really incredible to saw that an solar Electric Cargo Bikes runs on solar energy system. It's really awesome invention and environment friendly for us.